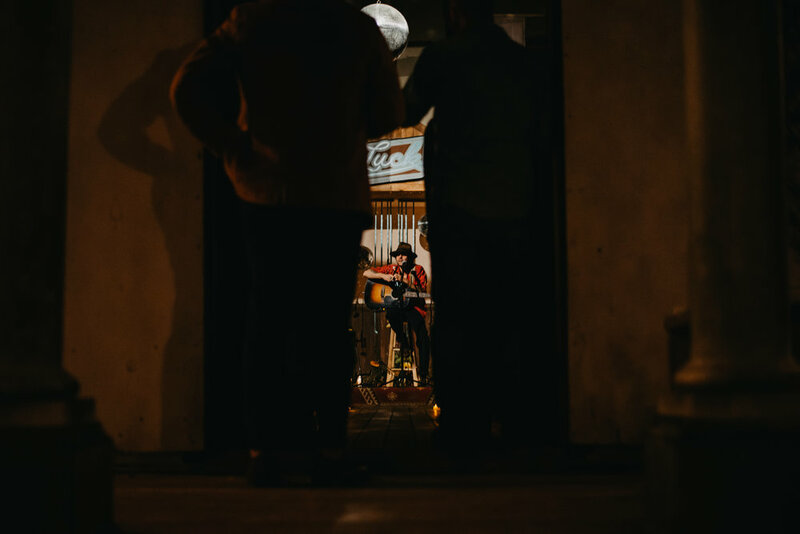 Last night in our home of Luck, TX we hosted the inaugural Luck Social, an intimate gathering celebrating food and music in the special place we get to call home. The first Social was a trial run of sorts, testing the waters so that we can build more unique opportunities to share the ranch with all of you. As our guests arrived they were greeted with specialty drinks from our sponsors Jim Beam, Tito’s Handmade Vodka, Mountain Valley Spring Water as our chefs for the evening put the finishing touches on the dishes they created just for Luck. The scent of chef Ben Runkle’s five-hour roasted porchetta wafted through the small town as everyone took in our latest addition to the ranch grounds: a chance to leave your mark in Luck. We also partnered with our longtime sponsor Jim Beam to offer Luck visitors the chance to leave their legacy alongside the history of Luck. Luck Social guests were the first to experience the new community walk of fame, leaving their mark in freshly poured cement that will become a part of a walkway weaving through the town of Luck. The #LuckLegacies stone will be immortalized and expand with each new event as Luck visitors sign their names. Floating flowers and candles created an altar along our Jim Beam building, making a truly ceremonial setting as each of our guests signed their names in the freshly poured cement, leaving a little bit of their legacies in Luck. One long communal table lined the main road to Willie’s Headquarters, full of fresh flowers, candles, and hand-dyed indigo cloth that complemented the artisan porcelain ceramic settings generously donated by Keith Kreeger. Guests refreshed their glasses at our Tito’s Handmade Vodka Saloon before sitting down for dinner. Our resident Luck culinary director, Chef Ben Runkle of Austin’s Salt & Time, hosted the evening and our guest chef, Todd Duplechan of Austin’s Lenoir for a mouth-watering four-course meal. The stars of the show were certainly Duplechan’s Stuffed Fish with Hoja Santa elevated by sheeling beans, smoked mushrooms, tomato jam, and green beans, and Runkle’s Porchetta with coal roasted butternut squash, farro salad, and wild greens. It was a true farm-to-table event as all of the night’s produce was locally sourced from Boggy Creek and Eden East Farms in Austin. Complimentary Lagunitas beer and wine from local winery Southhold Farm and Cellars were free-flowing as the dinner came to an end with a perfectly tart and sweet peach pie. After dinner, guests followed the twinkling lights back to the chapel as the stars and a tiny sliver of the moon blanketed the evening in wonder and enchantment. 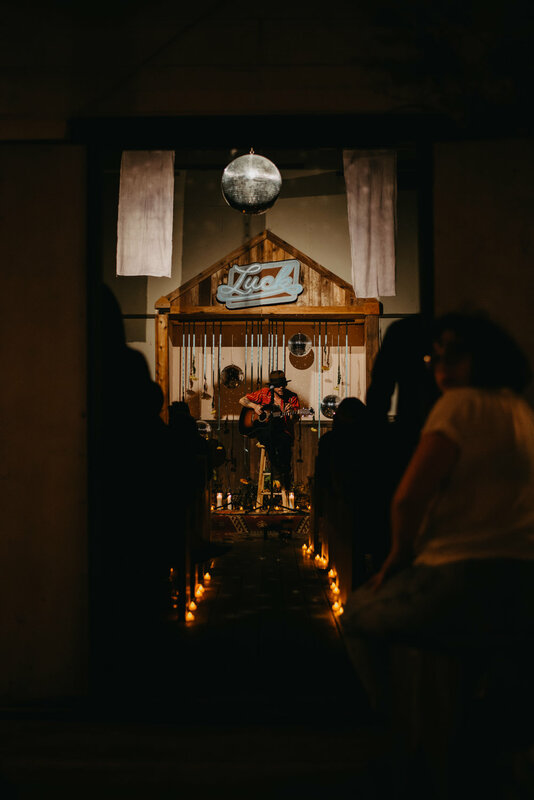 Everyone piled into the pews as our special guest, artist Langhorne Slim, took the Chapel’s small stage. Flowers, candles, and disco balls made for a neon revival in the Chapel as Slim spoke to the audience spinning stories of his past, his grandparents, and lessons he has learned before each song. His powerful voice and captivating storytelling echoed through the rafters and spilled out of the open windows as the cool October breeze swept across the pews. Even after the music ended, Slim stuck around to chat, take photos, and enjoy the evening under the grand Texas sky. 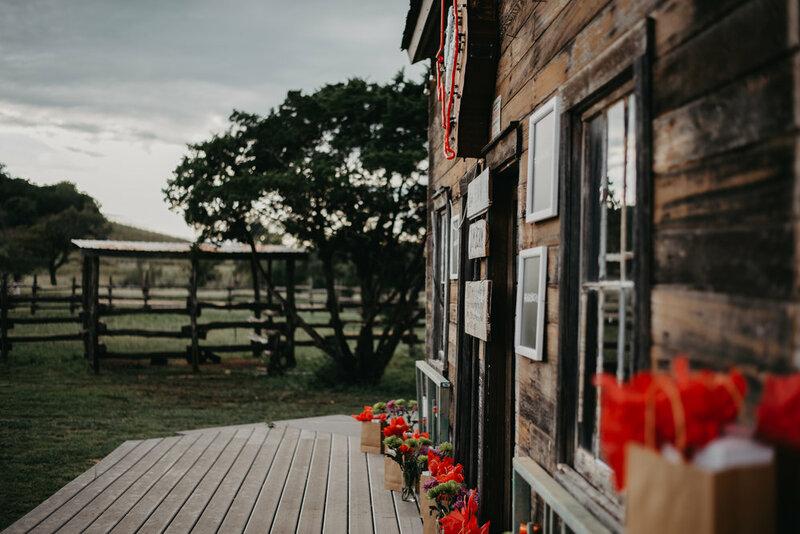 We can’t wait to bring everyone back for a chance to see the ranch without all of the hustle and bustle of the Reunion for more Socials in 2019.